15 hours of Continuing Education Units are required every three years to maintain active certification. Already Registered? Visit the ONLINE STUDY SITE! All eight (8) hands-on sections of the GCLP Certification program will be offered on this date. Contact Greg Huber at the UGA Center for Urban Agriculture at ghuber@uga.edu / 770-233-6107 for more information or click here to schedule this exam. The reservation deadline for this testing event is one week prior to the exam date. December 2019, TBA - GCLP Written Exams, Gwinnett Technical College. 8am-1pm. The four (4) written exam sections of the Georgia Certified Landscape Professional (General Knowledge, Plant ID, Pest ID, Plan Take-Off) will be offered on this date. (The eight (8) hands-on sections will NOT be offered at this event and are scheduled for a separate testing event.) Contact Greg Huber at the UGA Center for Urban Agriculture at ghuber@uga.edu / 770-233-6107 for more information or click here to schedule this exam. The reservation deadline for this testing event is one week prior to the exam date. Friday, March 8, 2019 - GCLP Written Exams, UGA Griffin Campus. 8am-1pm. Friday, April 12, 2019 - GCLP Hands-on Exams, Research and Education Garden at the UGA Griffin Campus. 8:30am-3:30pm. All eight (8) hands-on sections for the GCLP Certification program will be offered on this date. Contact Greg Huber at the UGA Center for Urban Agriculture at ghuber@uga.edu / 770-233-6107 for more information or click here to schedule this exam. The reservation deadline for this testing event is one week prior to the exam date. $165 - Full Program Registration: Includes the study manual, access code for the online study site, and the testing/registration fees for all 12 sections of the certification exam including one written exam testing event (4 sections) and one hands-on exam testing event (8 sections). NO CHARGE - Schedule an Exam Date: If you have already paid the full registration ($165) fee or the re-test ($45) fee for the GCLP program and would like to schedule an exam, CLICK HERE. 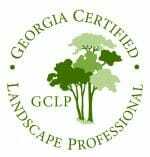 What is the Georgia Certified Landscape Professional Program? The certification test consists of four written components and eight hands-on components. Applicants are provided a 400+ page printed study manual and access to the internet study site developed by the Georgia Center for Urban Agriculture. The GCLP program is endorsed by the Georgia Green Industry Association, the Georgia Urban Ag Council, and officially recognizd by the Georgia Department of Agriculture. GENERAL KNOWLEDGE EXAM (90 min.) - A comprehensive 100 question multiple-choice test based on the study manual. PLAN TAKE-OFF (60min.) - A plan reading skills test that requires participants to read and interpret a landscape plan, to answer questions pertaining to the plan, and to make calculations, such as square foot areas, plant quantities per area, etc. PEST & DISORDER EXAM (45 min.) - A test on common pest, disease, and environmental problems. Participants must identify 25 samples (photos or actual specimens). PLANT IDENTIFICATION (45 min.) - A plant identification test that requires participants to identify (50) fifty plant samples from a list of over 270 provided. Photos or actual cuttings of trees, shrubs, vines, ground covers, herbaceous perennials, annuals, weeds and turfgrasses will be used for ID. (#1 of 8) PLAN LAYOUT (30 min.) The plan layout component of the hands-on practicum requires participants to accurately read and interpret a landscape plan. Using the landscape plan provided, participants shall accurately measure from the drawing and place plant materials (bedlines, trees, shrubs, groundcovers) on the ground accordingly. Participants shall demonstrate proper handling of plant materials, accurate location, spacing, and orientation of plant materials. (#2 of 8) TREE PLANTING AND STAKING (15 min.) Participants shall demonstrate knowledge and application of proper tree planting and staking techniques. Participants will be provided with a tree, staking kit, shovel, rake, mini-sledge, and mulch. Using the proper PPE, participants shall dig the proper planting hole for the tree provided (the soil in the planting area will be loosened by the judge prior to the exam to expedite the process). (#3 of 8) GRADING AND DRAINAGE (30 min.) Participants shall demonstrate the ability to read and interpret a topographic contour map and grading plan. Participants will be provided with a grading plan showing proposed contour lines, four spot elevations (marked A,B,C,D), and a proposed drain location (E). First, participants must accurately measure the locations of the five spot elevations on the grading plan and field locate five rebar pins/stakes in the ground to represent the spot elevations. Next, participants will indicate the proposed grading elevation on each rebar pin/stake using a clothespin. (#4 of 8) PRUNING (30 min.) This component of the exam requires participants to demonstrate a thorough understanding of the principles, tools, timing, and techniques used in pruning. Participants will demonstrate how and where to make proper cuts, discuss the appropriate selection and use of tools, explain how to properly remove a large limb, and describe the difference between heading cuts and thinning cuts. Participants will also be asked about timing factors, formal and informal pruning techniques, and the pruning of selected plants such as conifers, junipers, azaleas, etc. (#5 of 8) SOD INSTALLATION (15 min.) The sod component evaluates the examinees knowledge of proper site preparation, installation, and post care of a sod installation. During the installation demonstration, examinees must demonstrate the proper use of PPE, proper handling of sod, cutting and trimming, staggering joints, and tight placement between sod strips, and sod placement on slopes. (#6 of 8) IRRIGATION (30 min.) For the irrigation component, participants will be asked to adjust a Hunter rain click sensor, discuss nozzle selection to achieve a matched precipitation rate for the Hunter I-20 rotor, identify components of a low volume drip system, identify the parts of an electric control valve, and how to install and adjust a single stream rotor for direction and throw. (#7 of 8) PESTICIDE APPLICATION AND SAFETY (15 min.) The pesticide application component of the exam requires participants to demonstrate a general knowledge and understanding of pesticide selection, safety, and use in the landscape. Participants will be asked about the licensing requirements for legally applying pesticides in the landscape. Participants will be provided with a variety of pesticide labeling and asked to select the most appropriate product for a given scenario. Participants shall demonstrate the ability to read and interpret pesticide labeling to determine proper safety equipment, mixing rates, timing, and application procedures. Participants shall also discuss the proper disposal of pesticides. (#8 of 8) EQUIPMENT OPERATION AND SAFETY (15 min.) This component of the exam evaluates the participant's knowledge and understanding of the safe operation and care of common landscape equipment. Participants will be asked to discuss basic equipment care and explain the different oil and fuel requirements for two stroke and four stroke engines. Participants shall conduct and narrate a general safety inspection on a given piece of equipment. Participants shall also discuss personal protective equipment, site inspection, and give examples of dangerous practices or hazardous scenarios regarding equipment use. The written and hands-on exams are offered at least twice a year. Apply for certification or re-test: Print and Mail or Apply Online. The two-part certification exam consisting of the written portion and plant ID section will be offered. To make a reservation for the written exams, CLICK HERE or contact Tami Boyle at tadams@uga.edu / 770-233-6107. Registration closes at 5pm one week prior to the exam date. $165 - Full Program Registration: Includes the study manual, access code for the online study site, and the testing/registration fees for both sections of the certification exam including the plant ID section and the general exam section. NO CHARGE - Seat Reservation for Scheduled Exam Date: If you have already paid the full registration ($165) fee or the re-test ($45) fee for the GCPP program and would like to place a seat reservation for an upcoming testing event CLICK HERE. What is the Georgia Certified Plant Professional Program? The Georgia Certified Plant Professional exam consists of a written exam and a plant identification exam. The written test is based on a study manual available through the UGA Center for Urban Agriculture and features 100 multiple-choice questions. To pass the written exam, you must answer 70 questions correctly. The second portion of the exam is plant identification. You will observe 100 plant specimens from which you must correctly identify 70 specimens. The plant list provided in the manual names all the possible specimens, which might be included in the test. The exam is given twice per year. complete an Online Application with a credit card on a secure UGA website. The registration fee of $165 includes a printed study manual and access to online resources. Your manual will be sent to you at the address on your application. Personal checks take about two weeks to clear the banking process; therefore, your shipment will not be mailed until 10 working days have passed. For faster processing please consider our secure website. Test results (raw scores) are emailed to you within 10 working days from the test date. Score may also be sent to your employer upon request. What If I Don't Pass Everything? If you pass only one portion of the exam, you do not have to repeat that portion as long as you attempt to retake the portion you did not pass within one year from the initial test date. You must register to retake the exam. The re-test fee is $45 per attempt. What If I Can't Take The Test On The Date I Registered? Just notify Tami Boyle at tadams@uga.edu or 770-233-6107 and we will shift your test date to the next opportunity. You need to bring a clipboard and two #2 pencils. You will be provided with answer sheets. You should dress comfortably and arrive at least 30 minutes before the exam is scheduled to begin. The SuperCrew series brings professional training to your location at your convenience. It was developed in cooperation with industry leaders and endorsed by professional organizations. For your convenience there are two ways to view the material. Purchase of the 10 DVD Training Series without the option for quizzes or a Certificate.